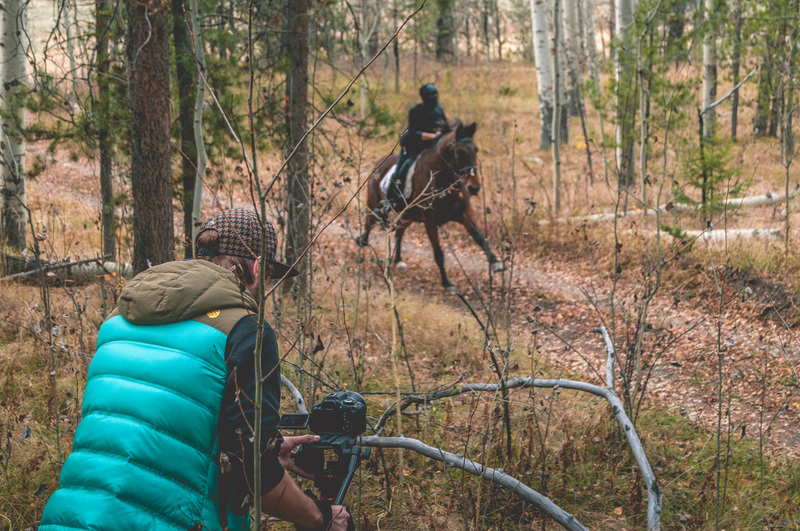 DAY TWO of filming: made it time for the "horse chase" scene! 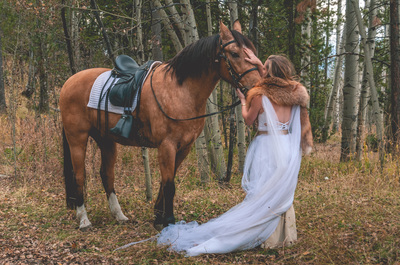 Baby Ask wouldn't be the same without it's two equestrian stars, Hotshot and Rigel. 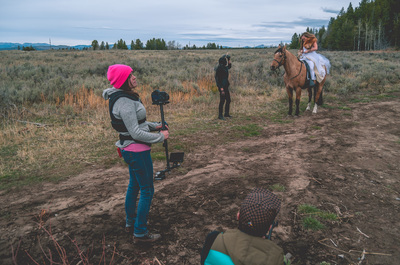 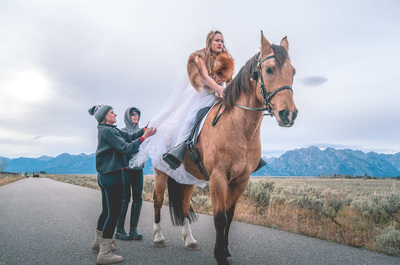 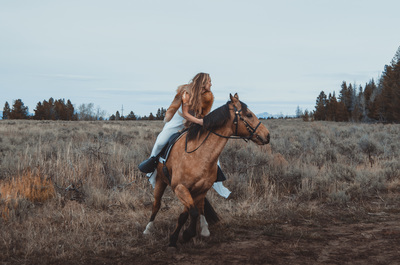 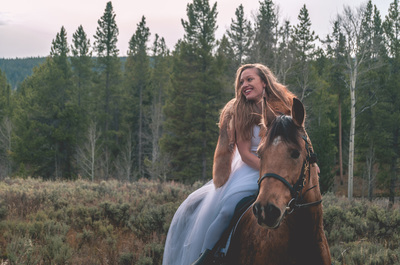 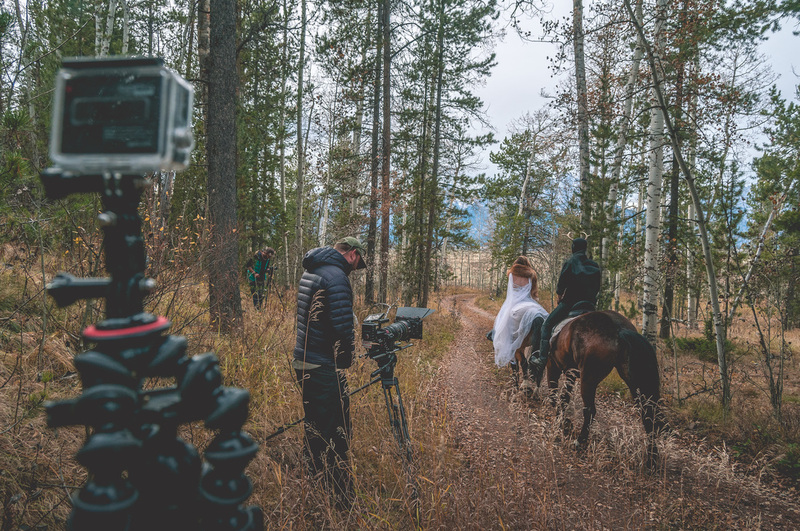 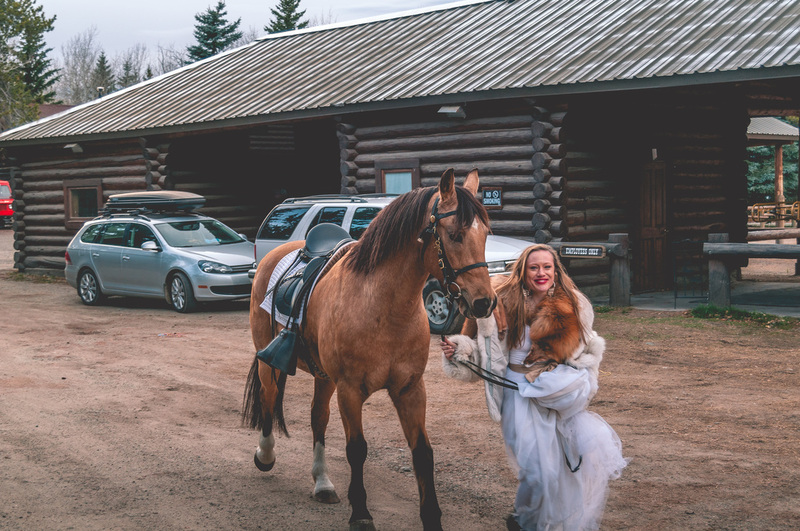 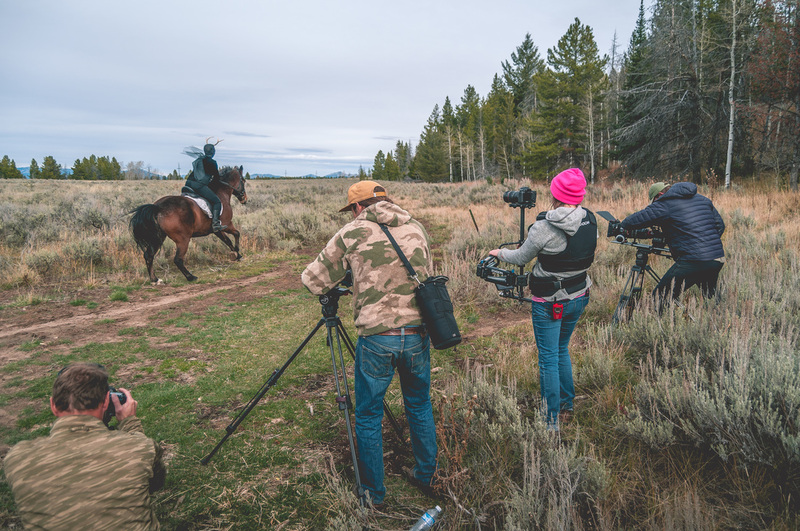 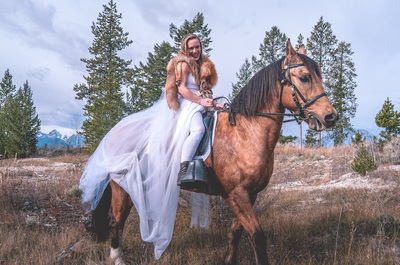 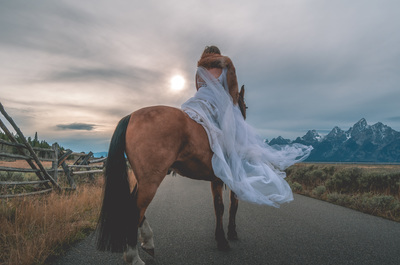 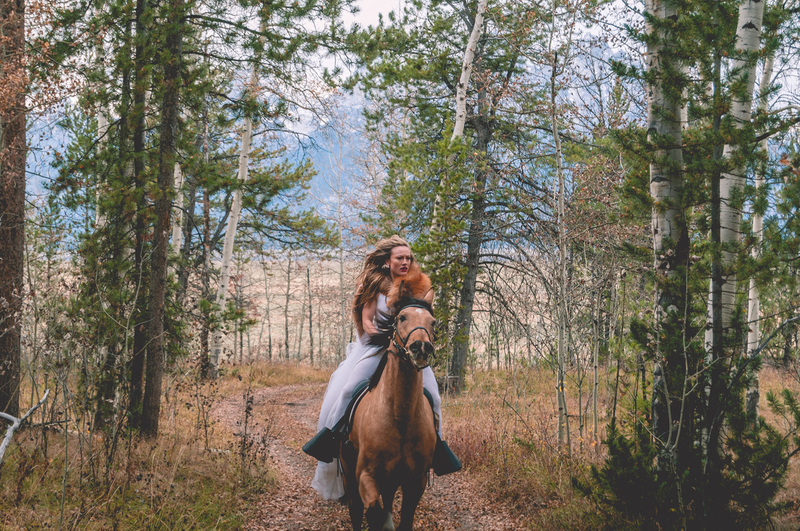 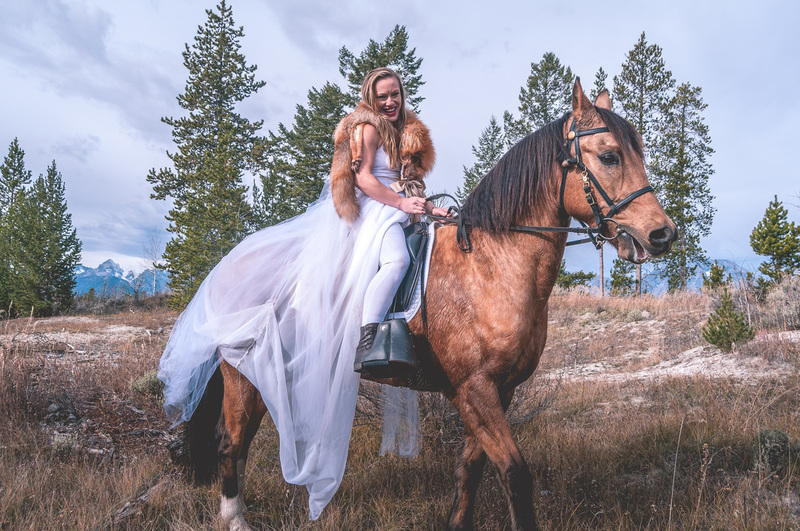 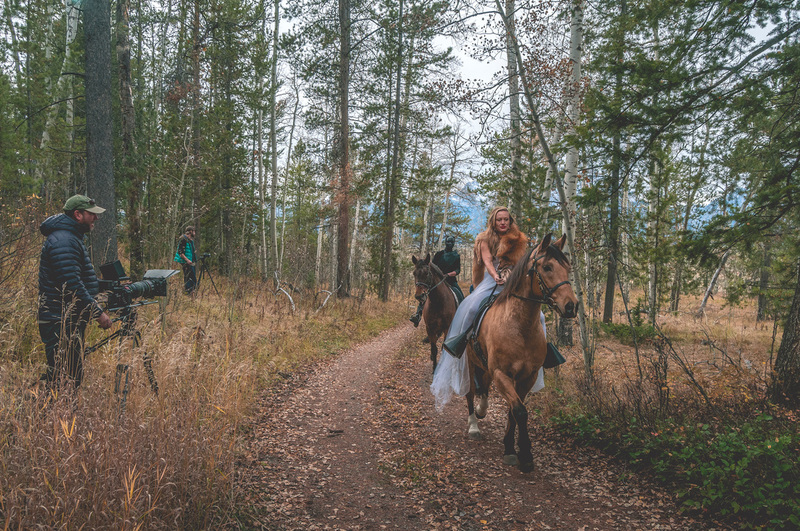 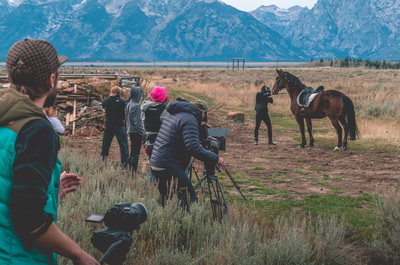 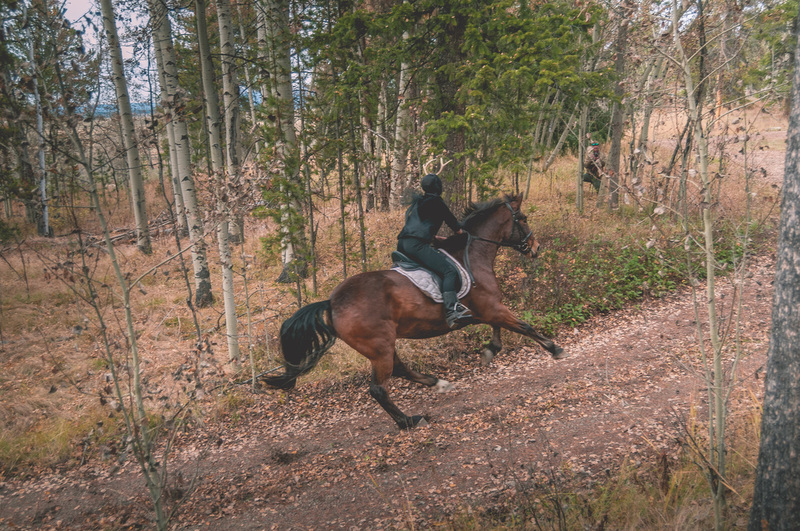 Maddy trained for weeks leading up to the film, riding under the instruction of Jackson Hole horse trainer Kari Hall, who stars in the film as the "dark" character chasing after Maddy on horseback. 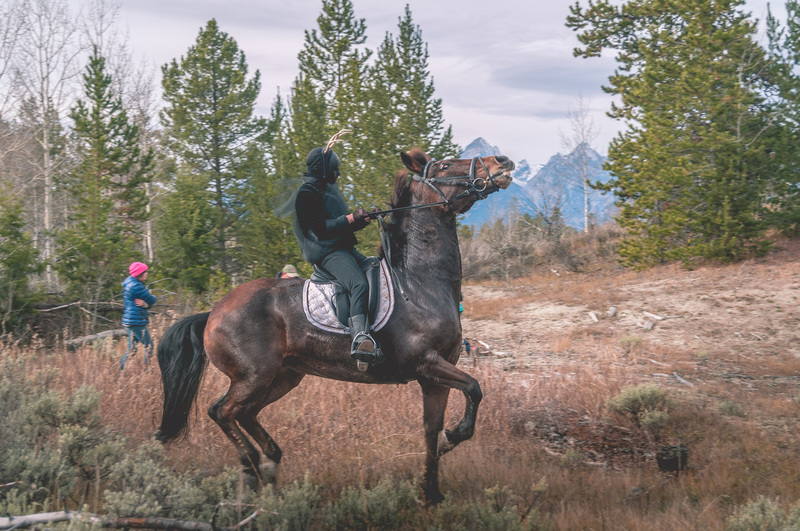 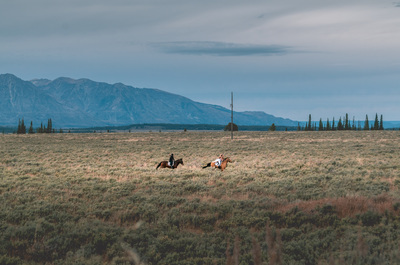 The dangers of filming at a full gallop across sagebrush and without helmets had both Maddy and Kari on edge during filming. 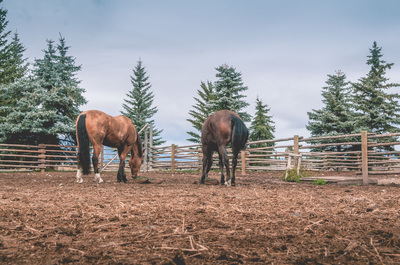 Maddy rode Hotshot, a beautiful buckskin Morgan who couldn't have been a better match for her ability and riding level, and Kari rode Rigel, a dark bay Mustang of Spanish descent, and by far one of the most talented and spirited characters on set. 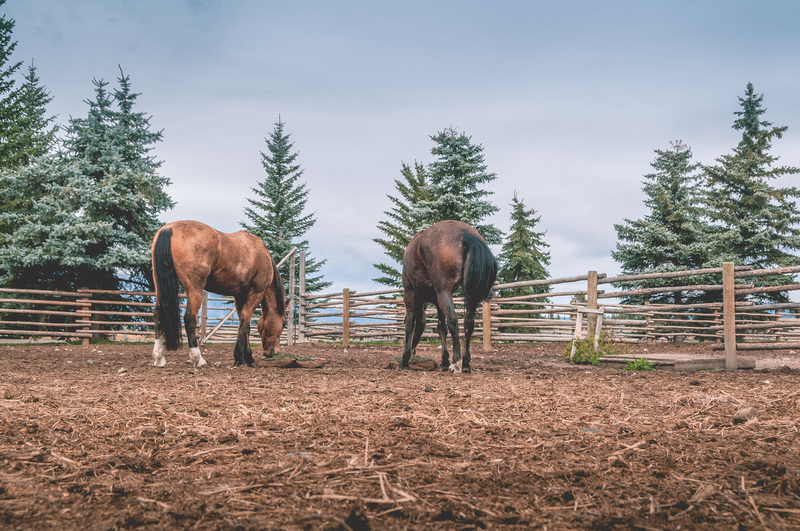 Rigel grew up as a wild Mustang and was rounded up and captured around the age of two. Kari's skill as a trainer and rider was imperative in keeping the film rolling, as Rigel was visibly fired up during most of the shoot, likely because the scene must have been reminiscent of his first encounter with humans. Kari's masked costume also posed an especially scary threat to this already sensitive and athletically powerful animal. 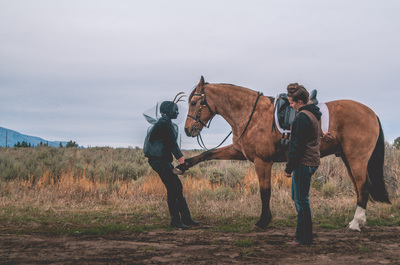 Kari's cool resolve and rock-steady leadership kept everyone safe on set, and Rigel's energy played perfectly into his role as the "dark horse." 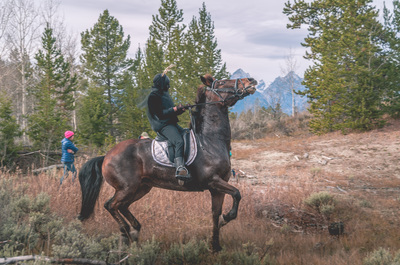 Horse trainer and stunt rider Kari Hall utilizes all her skills as a rider to keep Rigel under control during filming.